Located North side of SR64 between S 1st and Park Rd Cornell WI Coordinates Lat N 45:09':57.07" Lon W 91:09':290"
In 1912, after a permanent dam was built across the Chippewa River near this location, the Cornell Wood Products Company, a large paper milling operation, begun production here. The company manufactured paper products, cardboard and wallboard. 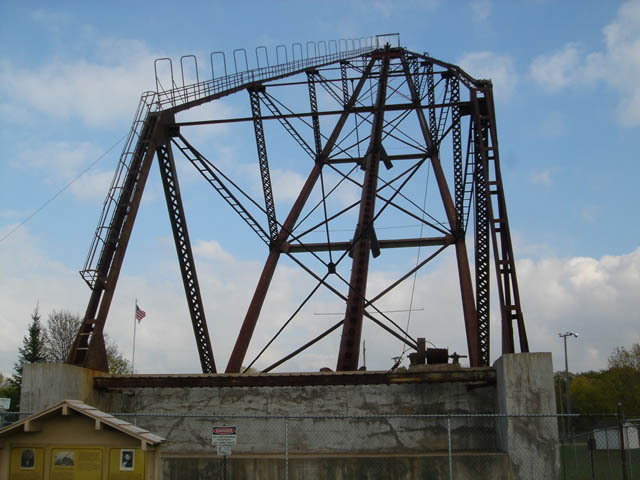 The original complex consisted of a log pond, slasher building, stacker, stacker pit building, sluice locker/tool building, office and garage. Although the operations ceased here in 1972 the 175 foot tall Cornell Pulpwood Stacker remains as an impressive reminder of the great logging industry that dominates this part of Wisconsin. 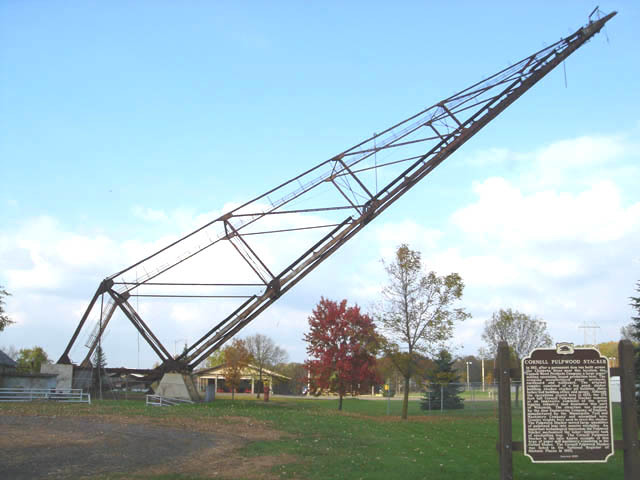 The structure was designed by the Joor Engineering Company of England, manufactured by the Minneapolis Tool and Machinery Company and assembled here. Counter weights were used to erect the stacker. The Pulpwood Stacker moved large quantities of pulpwood logs into ,massive woodpiles. 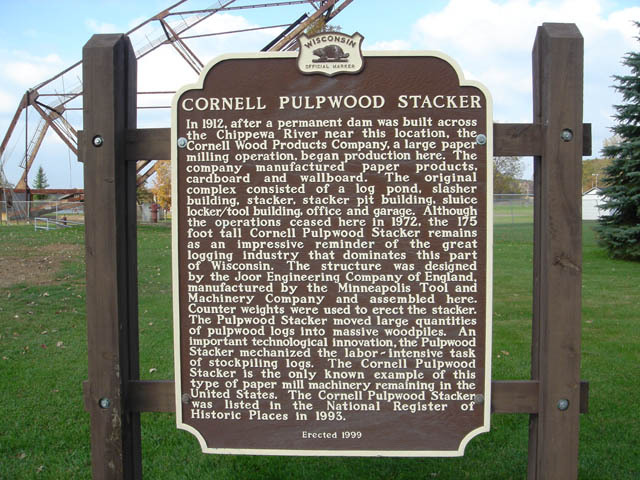 An important technological innovation, the Pulpwood Stacker is the only known example of this type of papermill machinery remaining in the United States, The Cornell Pulpwood Stacker was listed in the National Register of Historic Places in 1993.